Man-made climate change doubled the likelihood of the current heatwave in Ireland, new data released this morning indicates. 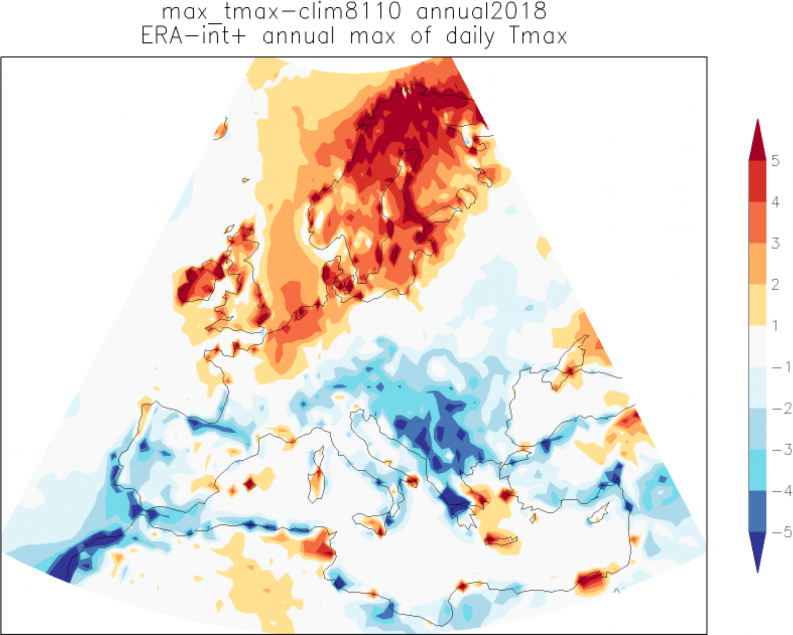 The findings of the World Weather Attribution network (WWA) shows that the abnormally dry conditions across Europe may become the summer norm in the near future. Researchers compared real-time current temperature data with historical records at seven weather stations in northern Europe, including one location in the Phoenix Park, Co Dublin. The scientific team found that anthropogenic, or man-made, climate change more than doubled the likelihood of the current heatwave in Ireland. The data also indicates that there are “clear trends towards more heat waves” in Ireland. The data also shows that the highest anomalies were seen in western Ireland, with heat waves already more than five degrees warmer than the average hottest three days of the year for the period 1981-2010. Current temperatures recorded at some of the weather stations were the highest on record, according to Dr Geert Jan van Oldenborgh, a senior researcher at the Royal Netherlands Meteorological Institute. “We found that for the weather station in the far north, in the Arctic Circle, the current heatwave is just extraordinary – unprecedented in the historical record,” he said. The report is based on preliminary analysis, and more robust measures can only be collated after the summer has ended, the scientific team said. However, the team added, that the potential environmental and social implications of the findings are “undeniable” and called for action to be taken” sooner rather than later”. Dr Friederike Otto, Deputy Director of the Environmental Change Institute at the University of Oxford, warned that the current conditions will “become commonplace” in the coming years. “In some cases, it already has,” he added. “This is something that society can and should prepare for – but equally there is no doubt that we can and should constrain the increasing likelihood of all kinds of extreme weather events by restricting greenhouse gas emissions as sharply as possible,” Dr Otto said. The recent heatwave has had a devastating impact across the globe, with the overwhelming heat leading to the deaths of over 150 people in Canada and Japan combined. Abnormally high temperatures combined with a lack of any substantial rainfall over the past months have led to drought conditions and a spate of forest fires across Europe, even in the Arctic Circle. The Greek government has declared a state of emergency this week as the spread of wildfires has killed at least 80 people, including an Irish man on his honeymoon in the coastal town of Mati. Irish beachgoers were lucky to escape a large fire last Sunday that engulfed over 13 acres at Curracloe beach in Co Wexford, while a family were forced to abandon their vehicle last month to escape a fire in the Dublin Mountains. The car was later found burned out by the fire.